Cupid worked overtime to deliver this sweet Valentine treat. 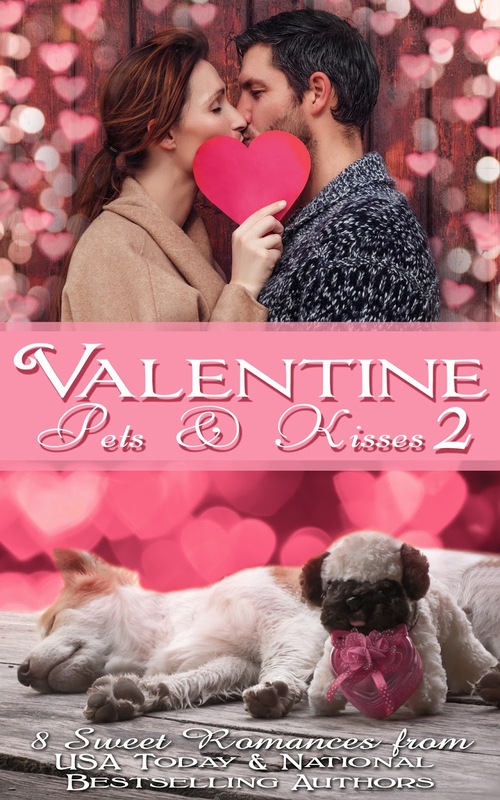 It's coming on January 31, 2017, so there's time to pre-order the Valentine Pets & Kisses 2 Boxed Set. 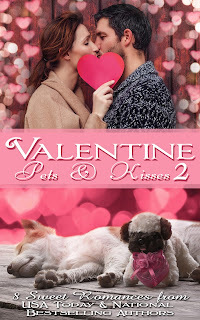 Today, I'll be sharing a sample from Sweethearts and Paw Prints, as well as a Dear Cupid letter. Enjoy! Carter’s back was turned toward Kaylee when she entered the cluttered room. He leaned against the wall talking into his cell, the bottle of Scotch he’d been looking for in his other hand. Good, now they could be on their way after he ran upstairs to change. She tiptoed up behind him in her high heels, planning to surprise him with a hug around his waist. “Your ideas are the best. Just remember we can’t let you-know-who find out about any of this.” Carter chuckled into the phone, amused by some comment from the person on the other end. Kaylee froze, prickling at his amorous tone. Who the heck was he talking to? She was pretty darn sure he didn’t speak to the guy from the liquor store like that. Kaylee’s heart shattered. What had she ever done to deserve this? She must have heard him wrong. Who the hell was he calling ‘sweetheart’? She backed up, hoping to get out of the room and out the front door before he knew she’d been there. Unfortunately, she stumbled over some packing material, stumbled, and caught hold of a wooden crate to keep from hitting the floor face first. Of course you didn’t, Kaylee thought, or else you would’ve made that call somewhere I couldn’t overhear it. But she didn’t say that. Instead, she simply stared at him and tried to figure out how to handle what she’d just discovered, unsure whether or not he knew she’d overheard him. 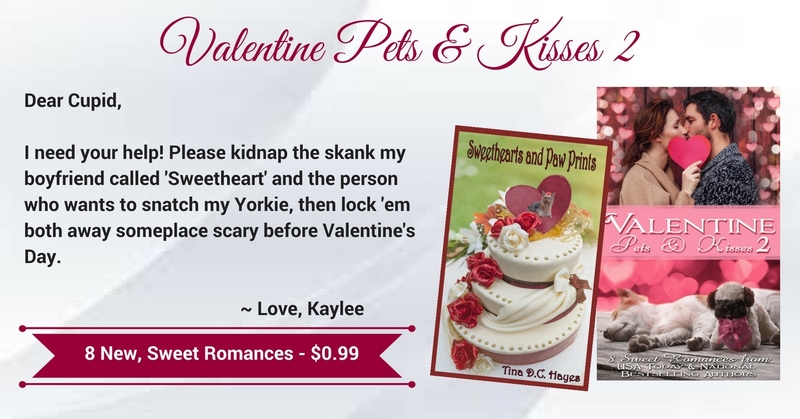 Tina D. C. Hayes writes romantic suspense and cozy mysteries with a paranormal twist. She lives down a little country road in western Kentucky with her husband and four children. A few pampered pooches and two parrots keep her company while they stand guard against writer’s block. In her spare time she reads, hangs out with friends and family, watches movies, plays guitar, and indulges her inner Foodie in the kitchen and by chowing down at cool restaurants. Currently up to her elbows in diapers, she’s an expert at 4 a.m. bottle feedings and Patty Cake. Tina is a PRO member of Romance Writers of America (RWA), a member of the Louisville Romance Writers Chapter (LRW), and a founding member of TheNextBigWriter (TNBW).